Electricians execute various tasks in relation to the installation and maintenance of electrical systems. 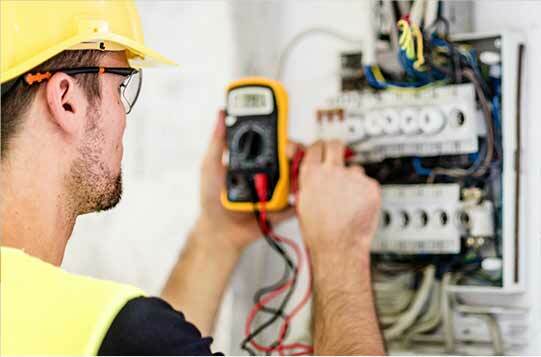 The main responsibilities of electricians involve setting up electrical wiring in buildings, inspecting and detecting malfunctions and repairing them. The employees must be extremely cautious when performing their tasks. Security measures are crucial in this job due to the high amount of risk. The objective is to maintain well-functioning electrical systems and minimize the likelihood of accidents. •	Prevent collapse of the system by frequently changing old or defective cables, cleaning circuits, etc.